Srila Prabhupada chastises impersonalist yogis and swamis, the nominal followers of the ninth-century teacher Sankara, in this commentary on Sankara's Meditation on the Bhagavad Gita: Fools rush in where angels fear to tread. Whereas Sankara, the greatest of the impersonalists, offers his due respects to Krishna and His book Bhagavad Gita, the foolish say that we need not surrender to the personal Krishna. By recitation of the ninth verse of his meditation, quoted from the Srimad-Bhagavatam, Sankara has indicated that Lord Krsna is worshipable by one and all, including himself. 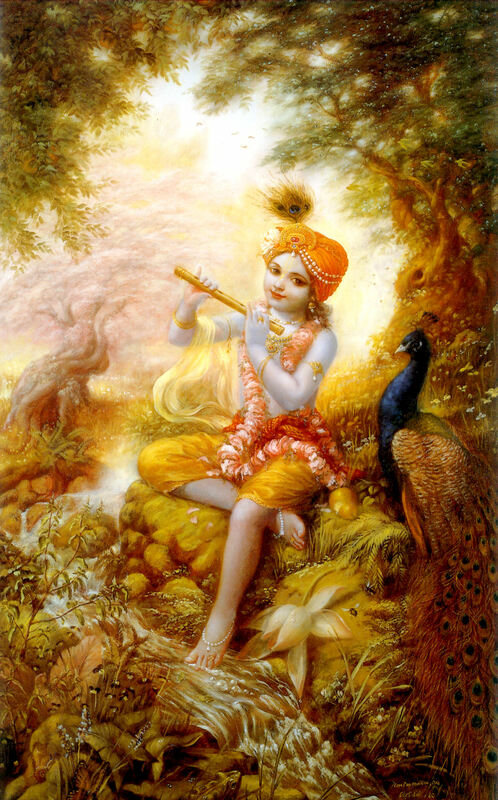 He gives hints to materialists, impersonalists, mental speculators, "void" philosophers, and all other candidates subjected to the punishment of material miseries--just offer salutations to Lord Krsna, who is worshiped by Brahma, Siva, Varuna, Indra, and all other demigods. 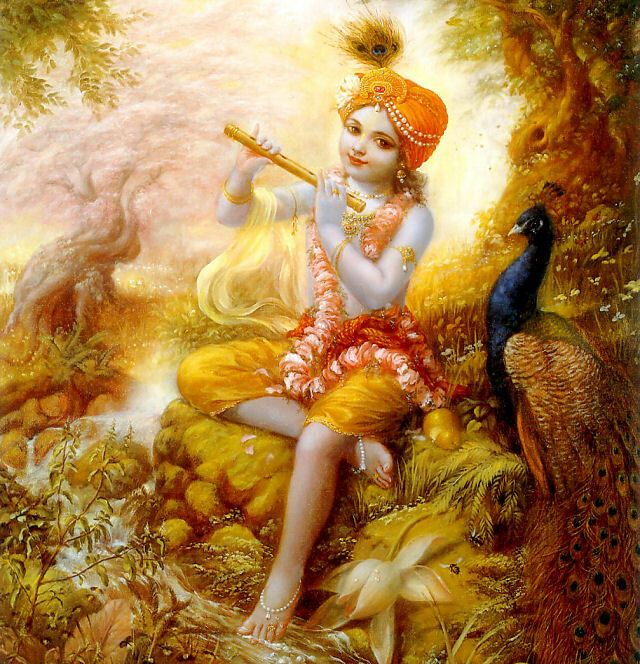 He has not mentioned, however, the name of Visnu, because Visnu is identical with Krsna. The Vedas and the Upanisads are meant for understanding the process by which one can surrender unto Krsna. The yogis try to see Him (Krsna) within themselves by meditation. 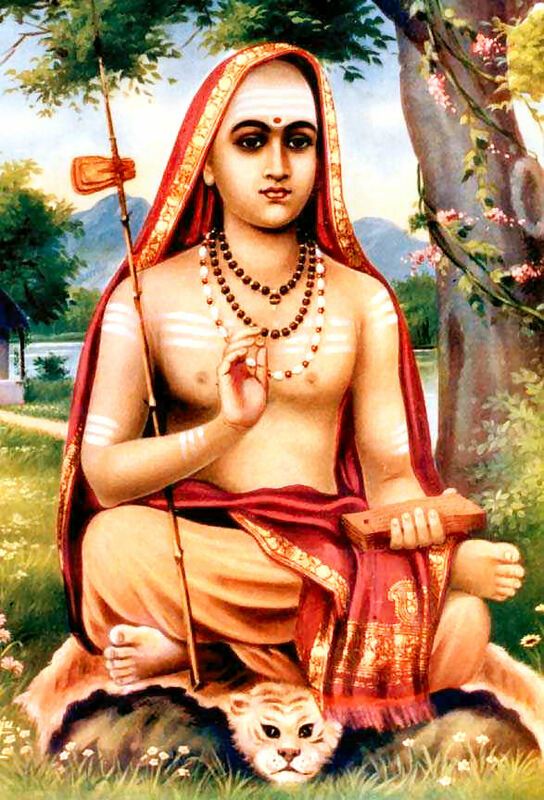 In other words, it is for all the demigods and demons who do not know where the ultimate end is that Sankara teaches, and he especially instructs the demons and the fools to offer salutations to Krsna and His words, the Bhagavad-gita, by following in his footsteps. Only by such acts will the demons be benefited, not by misleading their innocent followers by so-called mental speculations or show-bottle meditations. Sankara directly offers salutations to Krsna, as if to show the fools, who are searching after light, that here ls light like the sun. But the fallen demons are like owls that will not open their eyes on account of their fear of the sunlight itself. These owls will never open their eyes to see the sublime light of Krsna and His words the Bhagavad-gita. They will, however, comment on the Gita with their closed owl-eyes to mislead their unfortunate readers and followers. 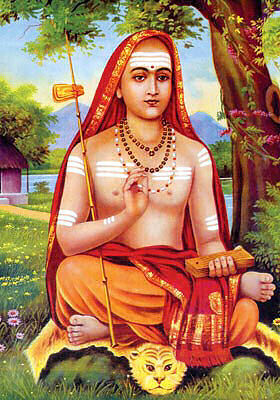 Sankara, however, discloses the light to his less intelligent followers and shows that the Bhagavad-gita and Krsna are the only source of light. This is all to teach the sincere seekers of truth to offer salutation to Lord Krsna and thus surrender unto Him without misgivings. That is the highest perfection of life, and that is the highest teaching of Sankara, the great learned scholar whose teachings drove the voidist philosophy of Buddha out of India, the land of knowledge. May the spiritual teacher guide us from ignorance to the truth. OM tat sat.